Give your projects the luxury of linen and the convenience of VeloBind. 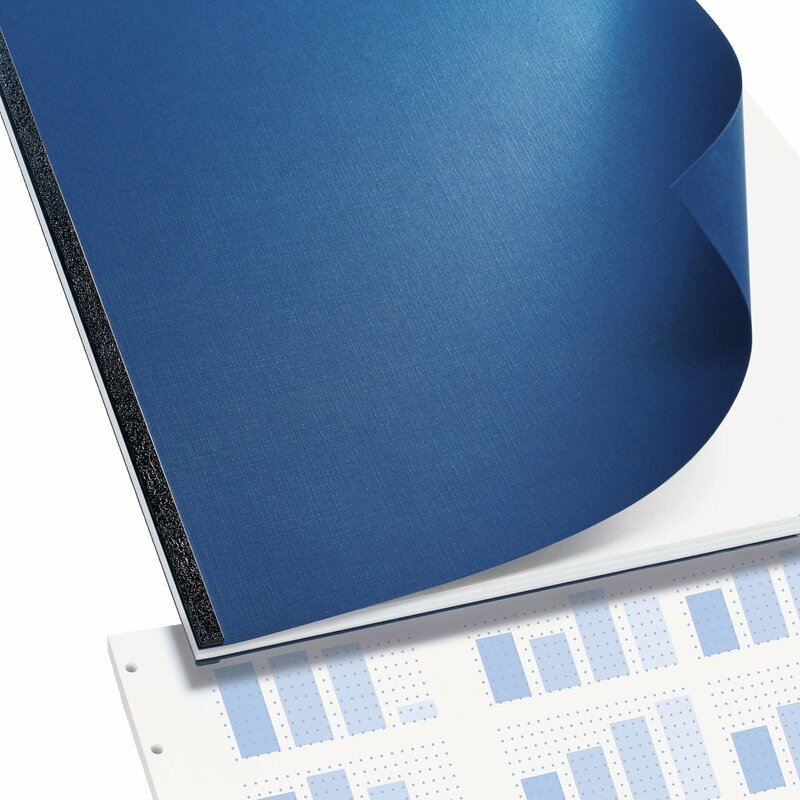 Attractive covers with touchable linen texture are pre-punched for use with VeloBind spines. Luxurious textured covers make it easy to add extra panache to your projects. Strong covers are generally intended for use as back covers, but can also make impressive front covers, depending on your taste. Durable covers are pre-punched and ready to use, for your convenience. They’re designed for use with compatible spines and equipment and they make it perfectly easy to assemble your important projects.